Today on the Google home page worldwide is a special Google Doodle, logo, for the 131st anniversary of the hole puncher. 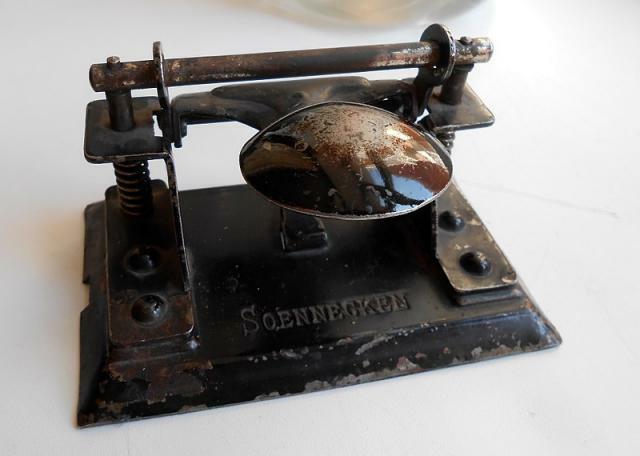 The hole punch dates back to the German inventor Friedrich Soennecken who filed his patent on November 14, 1886 in his Papierlocher für Sammelmappen. Since then it has been an office staple for the past 130 plus years. The Google Doodle is pretty fun, with the Google logo being made out of the punched holes from colored paper. It’s a familiar scene with a familiar tool: the gentle rat-tat-tat on the table as you square up a dangerously thick stack of papers, still warm from the printer. The quiet anticipation and heady uncertainty as you ask yourself the ultimate question: can it cut through all this? The satisfying, dull “click!” of the blade as it punches through the sheets. The series of crisp, identical holes it produces, creating a calming sense of unity among an otherwise unbound pile of loose leaf. And finally, the delightful surprise of the colorful confetti byproduct – an accidental collection of colorful, circular leftovers. Today we celebrate 131 years of the hole puncher, an understated – but essential – artifact of German engineering. As modern workplaces trek further into the digital frontier, this centuries-old tool remains largely, wonderfully, the same.